Integrity in Racing: From Cobalt to Jiggers – what on earth is happening? What happened to the integrity of the ancient and traditional ‘Sport of Kings’? How can words such as cobalt, which became a banned substance in 2014, doping, and jiggers still be synonymous with horse racing in 2019, when over 100 trainers have been prosecuted, including highly successful trainers in the industry who had trained horses to win the Melbourne Cup, Cox Plate and Caulfield Cup races which attract interest from millions around the world and which add greatly to Victoria’s economy. Racing Victoria (RV) recently announced the Hon. 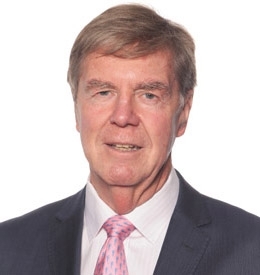 Peter Young AM QC, former Chairman of the Melbourne Racing Club, as one of the 5 appointments to the RV Integrity Council. The RV Integrity Council provides independent expert advice to the RV Board and RV Integrity Department on racing integrity policy, rule and enforcement issues. Peter is passionate about the welfare of today’s racing horses and to the integrity of the sport. Having previously served as a Judge of the Family Court of Australia, Peter will lead this conversation of the evidentry issues under our Chatham House rule.